Maurizio Sarri believes Alvaro Morata has "great potential" after he scored twice in Chelsea's 3-1 win over Crystal Palace on Sunday. Morata struggled for form at the start of the season but his two goals against Palace means he has scored four in his last four Premier League matches. Asked about the striker, Chelsea boss Sarri told Sky Sports: "He improves in confidence, in personality, in playing with the team, so now I am very happy. "He can improve more because the technical potential and physical potential is great, now he has confidence he can improve more." Chelsea's win saw them move up to second in the Premier League, two points behind leaders Manchester City. 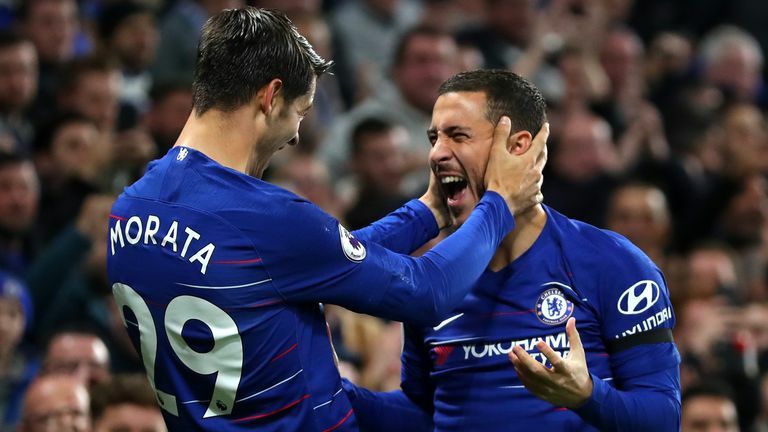 They were pegged back in the second half as Andros Townsend equalised, but Eden Hazard set up Morata to make it 2-1 less than two minutes after coming off the bench. 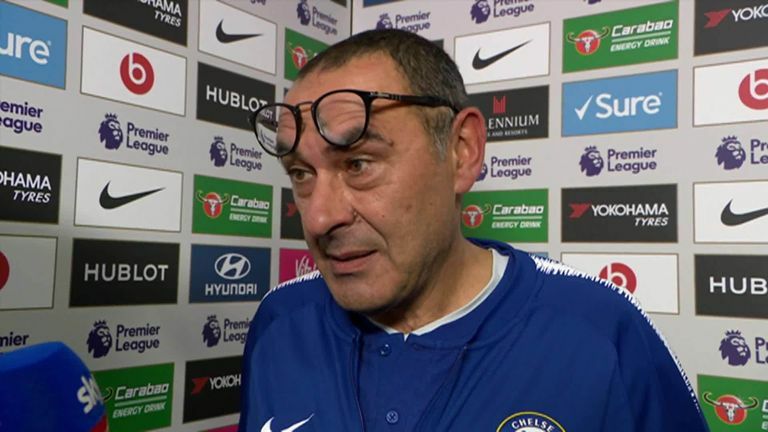 "In that moment we needed Hazard," said Sarri. "After the goal at 1-1 we were in a little bit of trouble so we needed accelerations, assistance, and Hazard got the assist in a minute. "As I said before it was very important to have him on the bench." Morata the goalscorer Chelsea need? Sarri is now unbeaten in his first 11 Premier League games as Chelsea manager, which is the joint-longest unbeaten start by a Premier League manager, equalling the record set by Frank Clark in 1994. "I am a little bit surprised but the record is not of the coach, it's of the team," said Sarri. "I am lucky, I have very good players, very technical players, so we were able to win in this period without a great organisation from a tactical point of view."